Mr. Whaley began his training in August, 2004, in the Saeng Hwal Taekwondo Organization, under the guidance of Master Kevin King. He participated in his first tournament In Newberg, Oregon, in 2005. Since then, he has actively participated in, placed in, and assisted with numerous tournaments, as well as state championship competitions. In December 2014, he achieved his 4th degree black belt in Taekwondo. He later went on to found his own martial arts school, Parkside Self Defense, alongside Mr. Javins, in July, 2014. Due to his overwhelming dedication to the martial arts, his training has been fast-paced and intense; often training 6 hours a day, 5 days a week. Alongside his taekwondo training, he also cross-trained in Shorin Ryu Karate, and Judo for 6 years each, attaining the ranking of Brown Belt, and Green belt, respectively. He has also studied various other martial arts, including, but not limited to, Aikido, Kenpo, Kajukenbo, Kickboxing, Street Defense, Jiu Jitsu, and Air Force Combatives. He is proficient in the use of many weapons taught in the dojang, but mainly focuses on empty-hand techniques. Overall, Mr. Whaley’s primary focus is ensuring each and every student grows and accomplishes more than they ever thought they could. At the end of the day, he aspires to see his students looking at their own progress, and taking pride in what *they* have done to better their lives; and sparking the drive to achieve more. 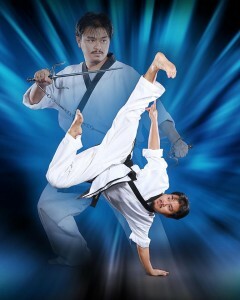 Mr. Javins first began studying taekwondo in September, 1996 under Mr. Ed Betancourt. By 1997 Mr. Javins participated in his first ITC tournament in Sacramento, California where he took second place in the forms competition, but what he really wanted was to spar. He got his chance in August 1997 when he participated in the Master Jack Corrie Tournament in Folsom, California. He took second place in forms and third place in sparring. 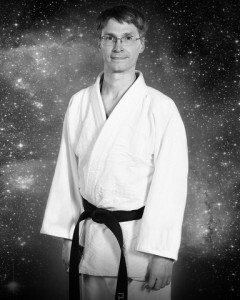 Mr. Javins studied various different martial arts prior to receiving his first degree black belt in taekwondo. 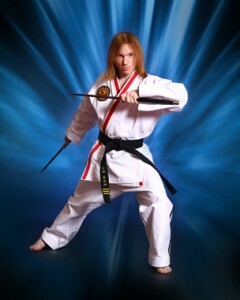 These styles include kali, jiu-jitsu, karate, WTF taekwondo, wushu, tai chi and street defense. This body of knowledge influences his training techniques as an instructor at Parkside Self Defense. Mr. Javins continues to judge and compete in tournaments and, along with Mr. Whaley, he has been instrumental in developing a winning tournament team at Parkside Self Defense. Dr. Traffas studied with the Ki Society in the style of Shin Shin Toitsu Aikido. He attained the rank of shodan (1st degree black belt) in that style under Kenichi Osaki Sensei of the Rinshinkan in Kanaya town, Shizuoka Prefecture, Japan. While in Japan and also after returning to the United States, Dr. Traffas discovered a number of advanced chi principles and decided to found his own style when he began teaching aikido. It is called Original Mind Style.